The old Bengali film Pather Panchali has been listed in BBC’s list of 100 best foreign language films of the 21st century. Pather Panchali is the only film from India to feature in the list. It was directed by Satyajit Ray and released in the year 1955. 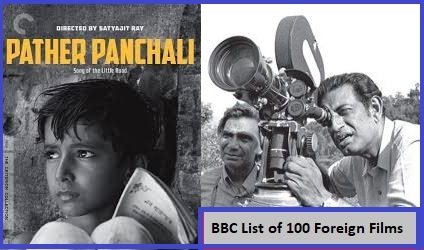 Pather Panchali is at number 15 in the BBC list. The list is topped by Akira Kurosawa’s film Seven Samurai. The BBC list features 100 films from 67 different directors, from 24 countries, and in 19 languages. Pather Panchali is a social drama inspired by a famous novel of the same named "Bibhutibhushan Bandyopadhyay's", a 1929 Bengali Novel. It happens to be the first film in ‘The Apu Trilogy’. Pather Panchali was directed by noted filmmaker Satyajit Ray and produced by Government of West Bengal. It starred Subir Banerjee, Kanu Banerjee, Karuna Banerjee, Uma Dasgupta and Chunibala Devi in lead roles. Pather Panchali movie was released on 26th August 1955. Pather Panchali also won many national and international awards.